Crushed Glass is a general-purpose abrasive used in a wide variety of applications, from rust and mill scale removal, to delicate restoration work. Crushed Glass is a manufactured abrasive made from 100% recycled glass, and is ideal for concrete applications and brick and limestone restoration work. Crushed Glass’ sub-angular shape provides a uniform mil profile and cleans by cutting through mill scale and rust while providing lower particle embedment than most other abrasives. Crushed Glass will enhance the natural luster of the surface without discoloration. Crushed Glass is typically blasted at 90 PSI to achieve the most productive results. This lower pressure, along with its angular to sub-angular shape and structure, produces lower dust levels than most mineral or slag abrasives. Low dust levels improve the operator’s visibility of the work surface, increasing production rates. Lower dust levels also reduce cleanup costs on the work site. 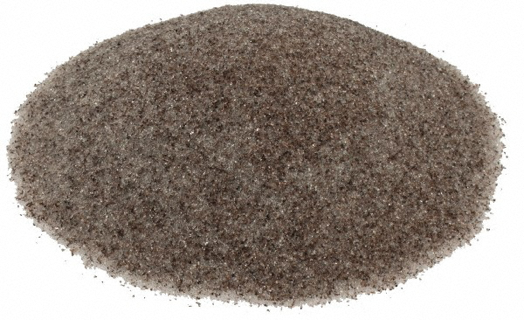 Crushed Glass abrasive is manufactured from 100% recycled container glass. The manufacturing process crushes the glass and strips away contaminants and waste by-products. The material is then sized and screened for abrasive blasting. Crushed Glass can easily perform a wide variety of abrasive blasting jobs. The extra coarse sizes can be used for removal of mill scale, rust, and thick coatings. Medium sizes provide a smooth finish and are excellent for blasting aluminum, stainless steel, fiberglass, architectural restoration, and graffiti removal. Fine sizes work best for light duty blasting that require minimal etching, such as automotive restoration.